Situated in the heart of Singapore’s central business district, Marina Bay Sands is a step above the rest when it comes to dining and entertainment, but I bet you didn’t know that plenty of its signature & celebrity chef restaurants offer modestly-priced lunch specials, perfect for people that love to dine lavishly without breaking the bank. 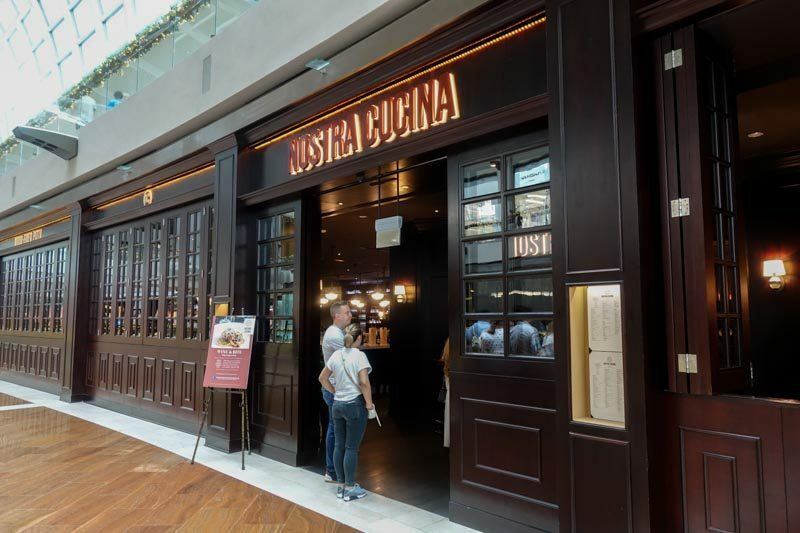 With a wide variety of cuisines, from juicy burgers to hearty Italian fare, these lunch deals at Marina Bay Sands are perfect for that weekday date, business or executive lunch meeting. Plus, it’s located right at Bayfront MRT so you could totally drop by for lunch and still make it back to the office before your lunch hour’s over or if you’re driving, receive complimentary parking with a minimum spend of S$75++ when you dine at any of the signature outlets below. Here are 10 affordable lunch deals from S$19++ at Marina Bay Sands to pamper yourself with a good meal. 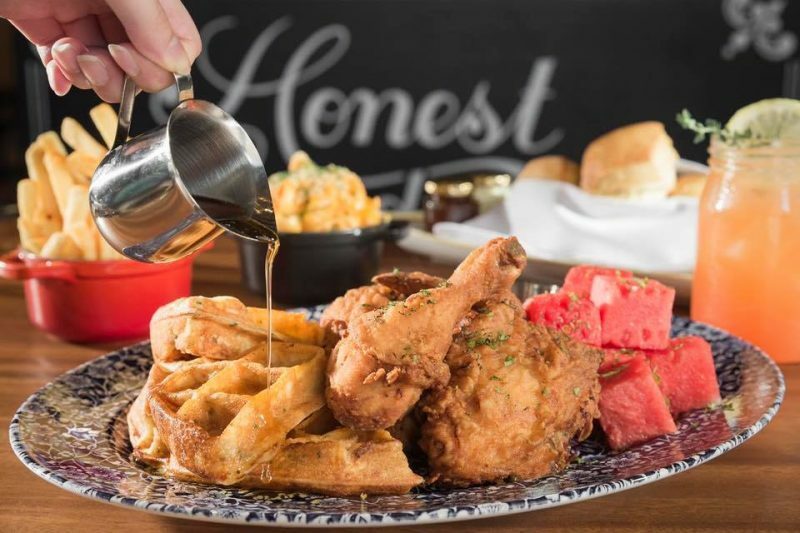 Imagine dining in a rustic American diner, where fried chicken is crispy and served with chilled spice watermelon and buttermilk biscuits, alongside bourbon cocktails. 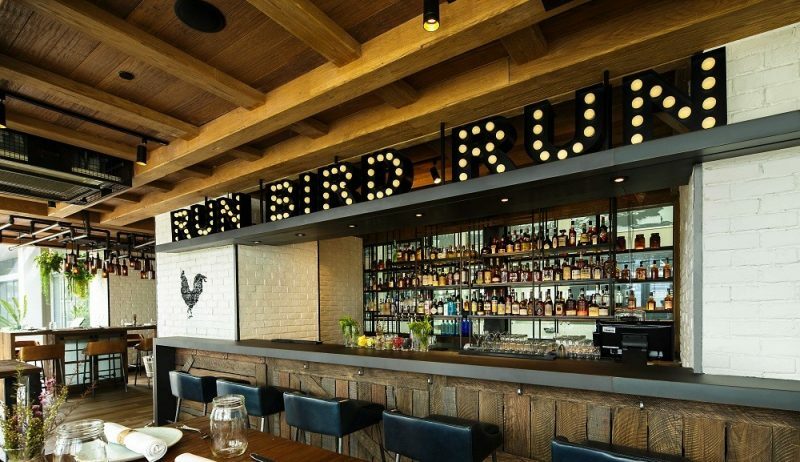 That’s The Bird Southern Table & Bar for you — they dish out authentic American cooking with farm-fresh ingredients. It’s famed for its signature 100-year-old family recipe: Lewellyn’s Fine Fried Chicken. For just S$22++ per pax, enjoy a two-course set lunch that starts off with The Wedge Salad, a refreshing mix of butter lettuce, house-smoked pork belly, charred corn, tomatoes, avocado, and drizzled generously with house-made buttermilk ranch dressing. Choose between two hearty mains: Crunch Bird Sandwich or the Lunch Set Special, which includes two pieces of its popular Lewellyn’s fried chicken, chilled spice watermelon and buttermilk biscuits. Though this lunch set menu is only available from 1 Oct 2018 to 30 Nov 2018, The Bird Southern Table & Bar also offers pretty amazing offers almost every day of the week. Fancy digging into a humongous one pound meatball made of fresh Imperial wagyu beef, veal and Italian sausage, served with a scoop of freshly whipped ricotta cheese? 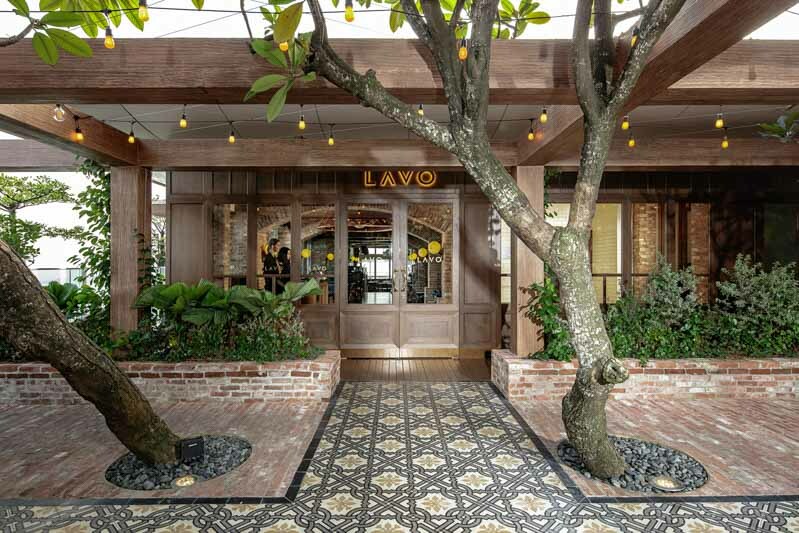 LAVO Italian Restaurant & Rooftop Bar is known for two things: its legendary The Meatball (S$38) and the gorgeous view, since the restaurant is 57 stories high and gives you an unparalleled view of the bustling city. 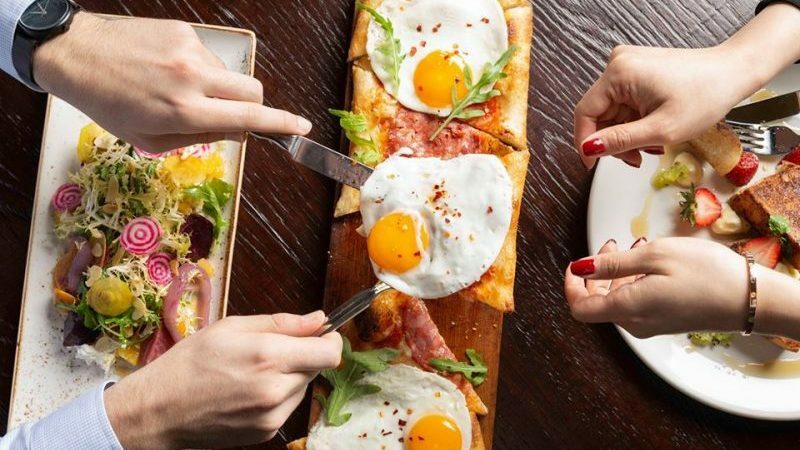 While the Italian-American eatery transforms into a vibrant bar and club at night, you should definitely check out its reasonably-priced brunch items during the day, which start from as low as S$18++. Can you believe it?! Brunch is not just for weekends! 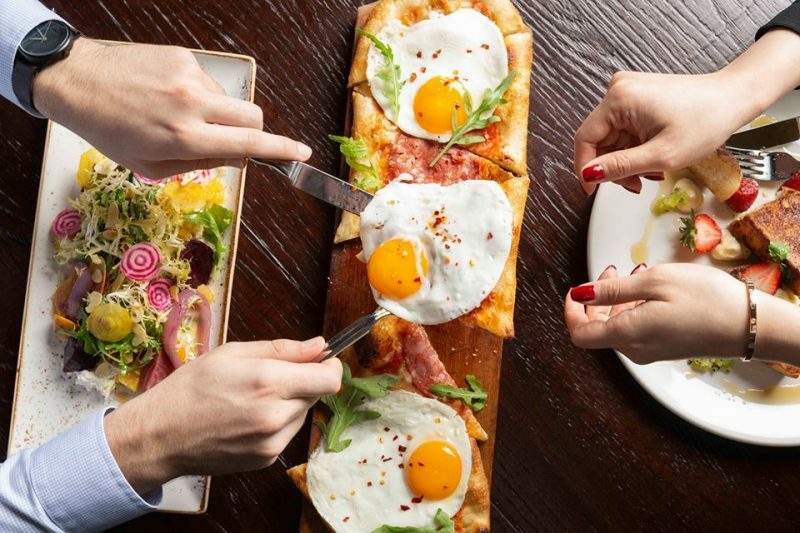 Dig into a hearty Breakfast Pizza (S$28++), a platter of three sunny-side-ups, rustic coppa Italian cured meat and caramelised onions served on comforting warm pizza dough, which is great for sharing. For a more traditional breakfast dish, opt for the Three Eggs (S$18++), which gives you the choice of eggs cooked in any style, served together with toast and fries. Craving for something sweet? Try the Ricotta Pancakes (S$24++), a fluffy mound of pancake goodness, topped off with homemade blueberry jam. Or get the LAVO Toast-Lah (S$24++), a unique twist on the iconic Singaporean kaya toast that includes strawberry, kiwi and yuzu-infused mascarpone. True to its name (which translates to ‘our kitchen’ in Italian), a bite out of Nostra Cucina‘s home-style Italian cuisine brings you straight to a cosy nonna‘s home. Using time-honoured family recipes, hand-crafted pasta boards and its two wood-fired ovens, this restaurant is a nod to traditional Italian culture in every way possible. Its two-course Set Lunch Menu (S$30++) is really worth the price. 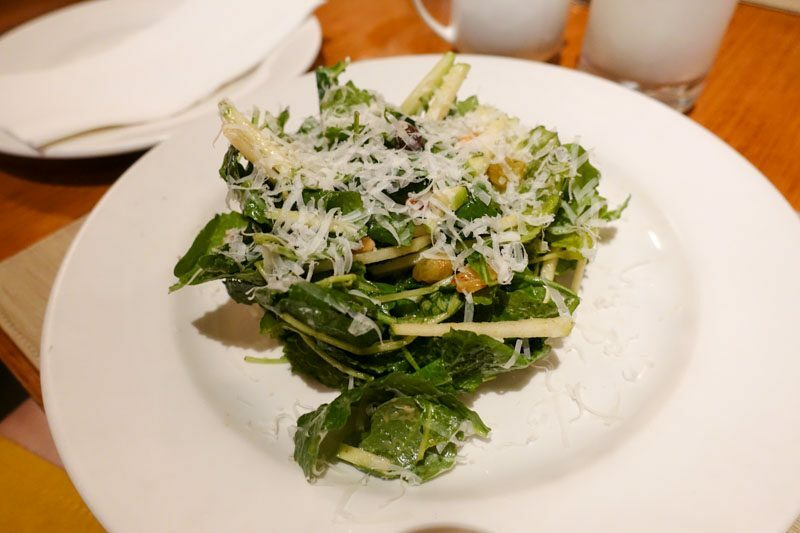 Choose from starters, such as Kale Salad, which is tossed with green apple slices, raisins, pine nut and piave cheese. With a huge pile of fresh kale leaves, sweetness and grittiness from the raisins and pine nuts, and saltiness from the thick slices of piave cheese, each bite was refreshing and piqued our appetite. 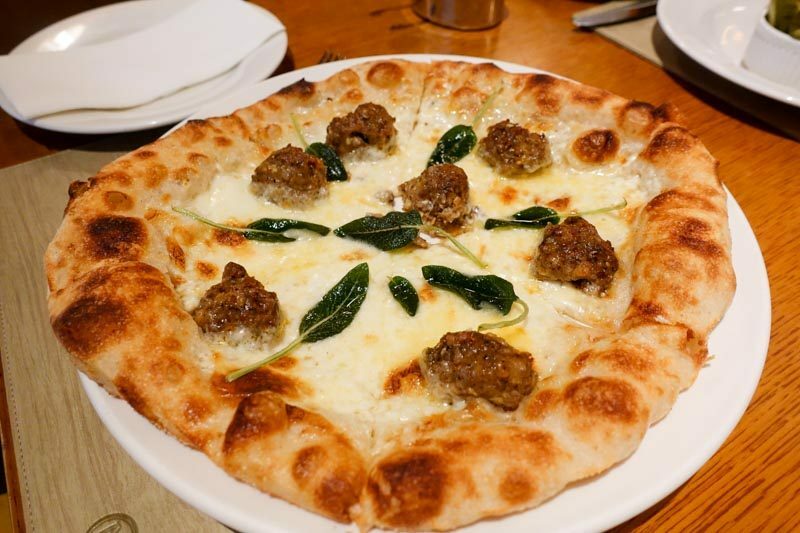 For your main course, definitely go for its Bianca Pizza, a generous serving which is fantastic for sharing. The dough was peppery and salty, while its mouth-watering three cheese comprising fontina, truffle and taleggio were wonderfully salty and sweet at the same time. Topping the pizza off were hearty sausage meatballs and crispy fried sage. 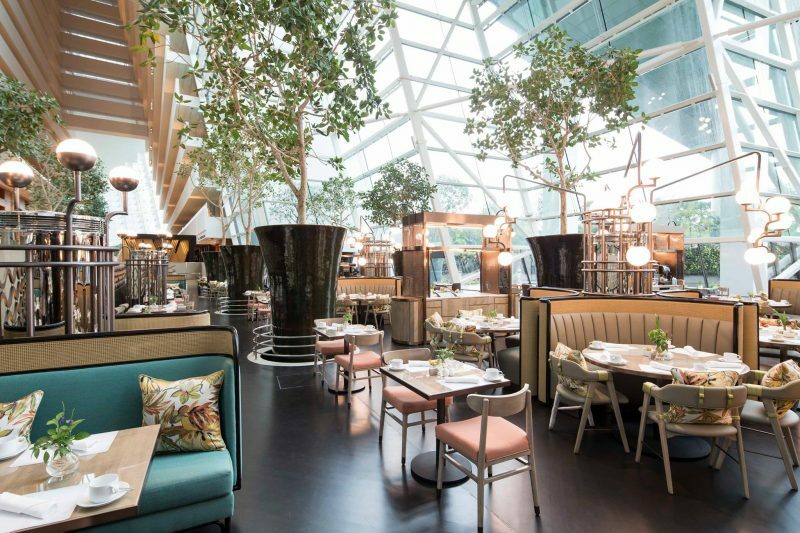 Located at Marina Bay Sands’ hotel lobby, dining at RISE Restaurant is a delight especially in the early afternoon, when the entire lobby is brightly lit and the space looks gorgeously elegant. Eco-friendly diners will be happy to know that RISE Restaurant not only uses fresh and sustainable ingredients sourced responsibly from farmers locally and in the region, it also has an in-house herb garden, which is cultivated daily for its signature beverages. 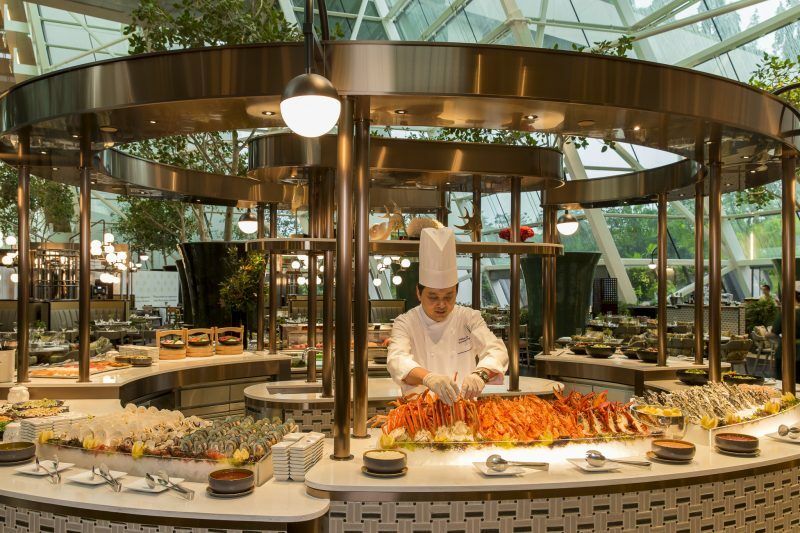 Its International Lunch Buffet (Adult prices: S$56++ for weekdays, S$62++ for weekends) gives you the luxury of choice between juicy roast meat, delicious local cuisine, fresh pastry and brunch fare, and the freshest seafood and sashimi, so there’s definitely something for everyone here. Plus, if you’re a Sands Rewards member, you get to enjoy 30% off from Mondays to Thursdays! Stepping into this Parisian-inspired bistro makes you feel like you’re in France, from its geometric tile flooring to open shelves, or even its 23-seater bar or casual lounge area. 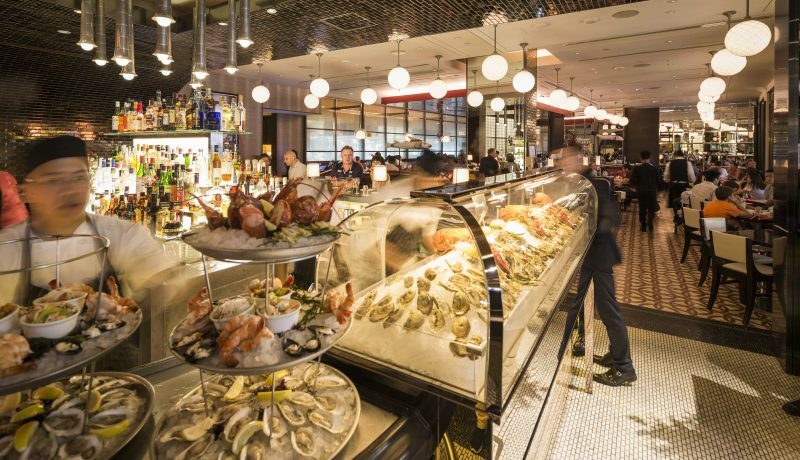 db Bistro & Oyster Bar was started by Chef Daniel Boulud (thus db, get it?) 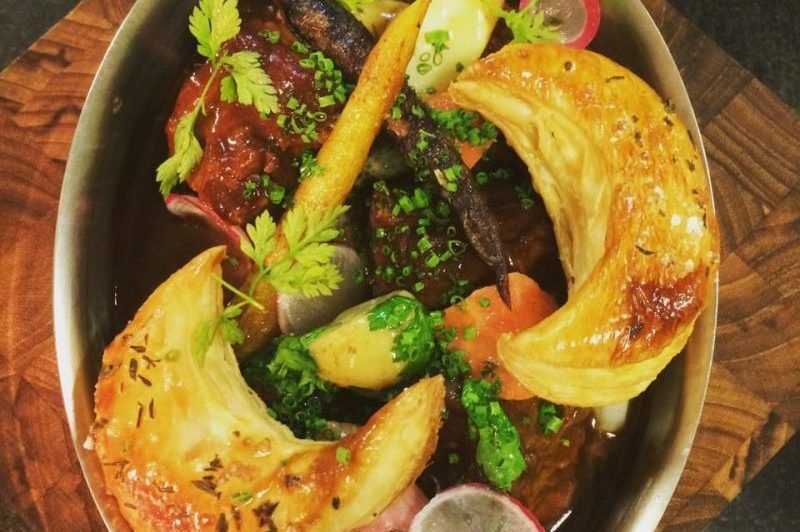 to showcase the freshest seafood dishes cooked in traditional French style. With its quiet, intimate seating and excellent service, db Bistro is great for business lunches or afternoon meetings. The Express Lunch (S$32++ for two courses, S$42++ for three courses) gives you the option to pick between mains, such as Lamb Navarin, juicy lamb stew braised in white wine & tomatoes; Daniel Boulud’s Pain Bagnat, a house-cured tuna sandwich with olives, avocados, eggs and lettuce; or Garganelli Puttanesca, tomato confit served with kalamata olives, capers, anchovy and fresh basil. End off your meal with a refreshing Coconut & Chestnut rice pudding, which comes with sesame tuile and a scoop of cognac ice cream. If you’re in the mood for an afternoon drink, try its Kriek Boon (S$10++), a Belgium lambic fruit beer that’s only available in Singapore at db Bistro & Oyster Bar. 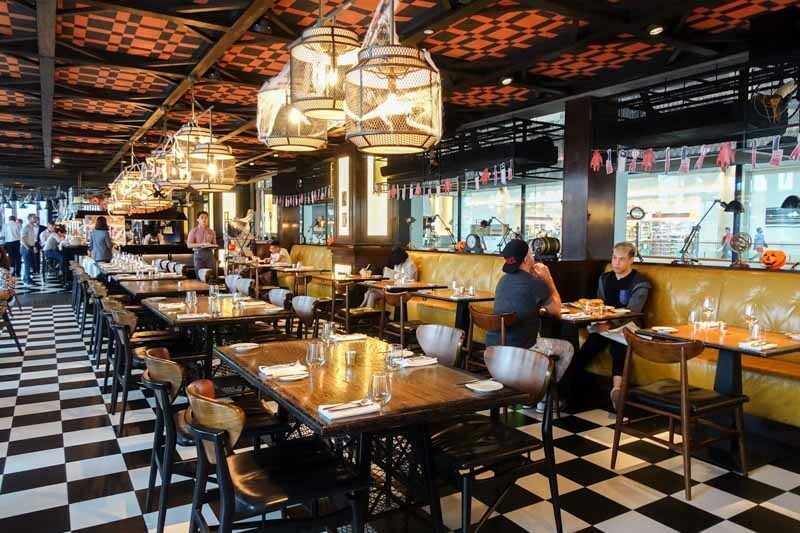 Opened by celebrity chef Gordon Ramsay, stepping into Bread Street Kitchen brings you straight to Britain with its monochrome tile flooring, mustard yellow leather seats and sleek oak tables. Here’s where class meets casual dining, which is evident even in its eclectic music choices. When we were there, Last Dinosaurs’ latest indie rock tunes were grooving over the stereo. Decently priced at S$40++ and S$48++ for its two-course and three-course Set Lunch menu respectively, you’ll not only be able to enjoy traditional British fare, such as Lamb Shepherd’s pie, but also dine with a full, unobstructed view of the Marina Bay waterfront as well. 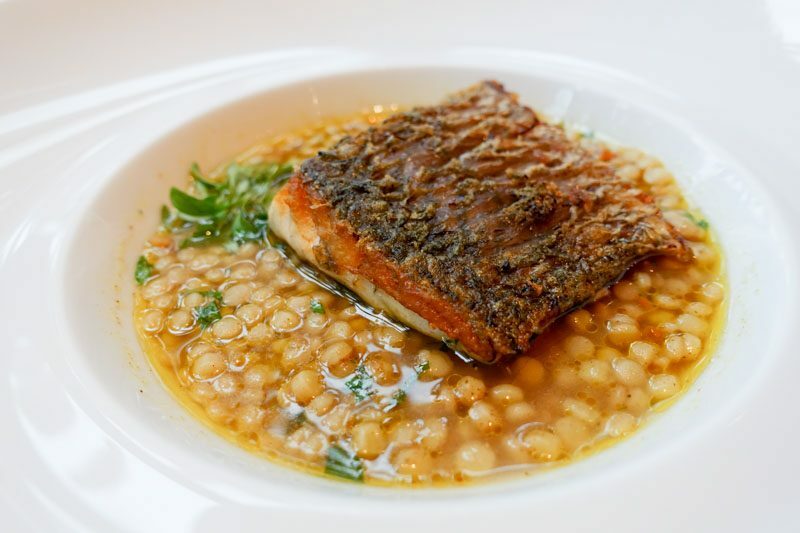 Its Pan fried seabass was succulent and soft with a crispy skin for contrast. It sat on a bed of juicy Ras el Hanout spiced Israeli couscous, which gave the dish a peppery and appetising finish. Adrift is celebrity chef David Myers’ modern take on the izakaya. Imagine meat grilled over bincho charcoal on a traditional robata grill, sinfully decadent uni and caviar and succulent fresh oysters – how luxurious! Be sure to drop by on a weekday for its three-course Power Lunch menu (S$19++) and take a seat at the restaurant’s swing seats for a classy and relaxing afternoon brunch. 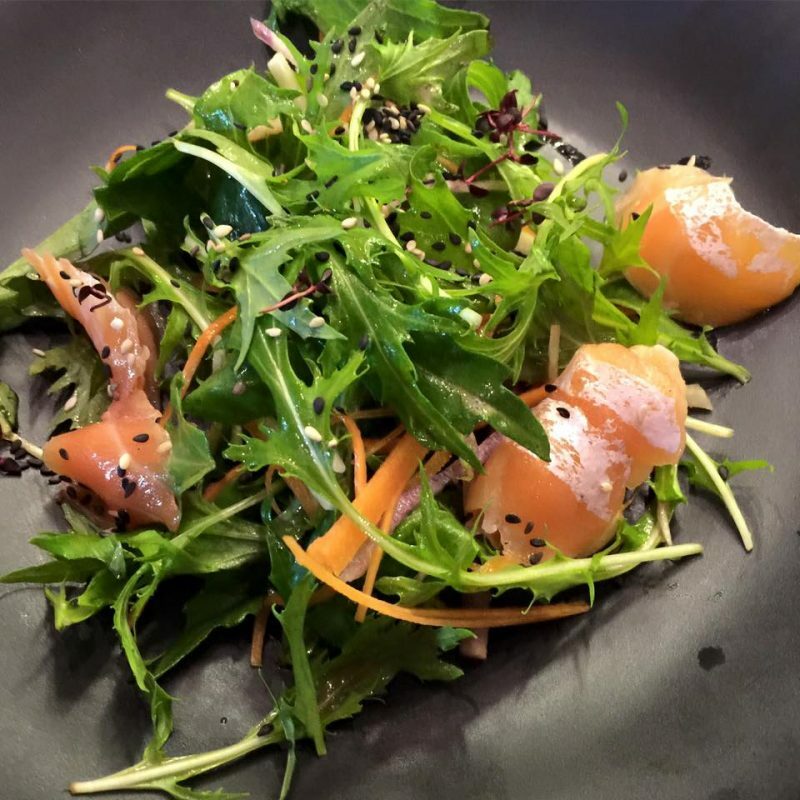 Heavily influenced by Japanese culture, you can expect dishes such as Home-cooked Salmon, served with mizuna, sweet turnip and sesame dressing; and Spicy Pork Ramen, which comprises egg noodles and nori. End off your three-course lunch with a slice of classic Earl Grey Tea Cake with strawberry frosting. The Power Lunch menu changes weekly to ensure that the ingredients used are always the freshest for each season, so be sure to check its website for the updated menu. 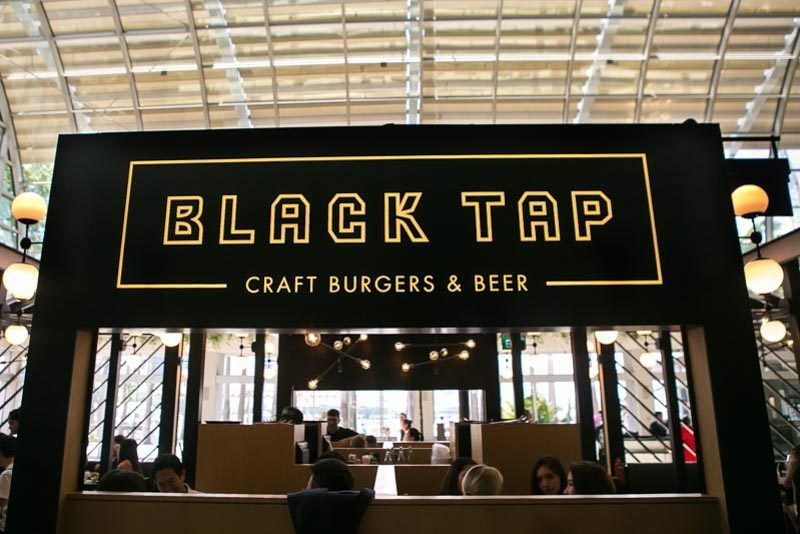 If you’re craving a juicy American burger with fresh lettuce and tomatoes, sharp pickles, oozing American cheese, then Black Tap is the place for you. 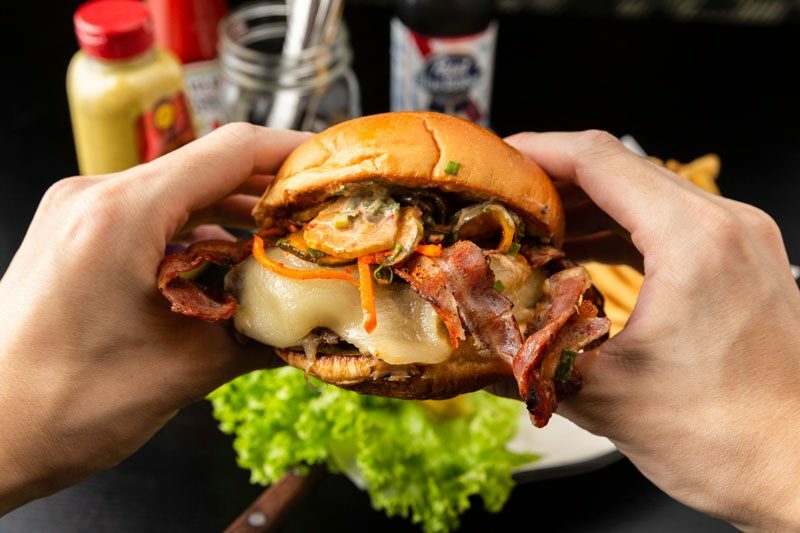 Its award-winning craft burgers aren’t expensive – in fact, they range from S$22++ and come complete with a serving of crispy french fries to ensure you’re filled up. The Cantonese BBQ Burger (S$24++) pays homage to our little red dot’s Chinese heritage, stringing together iconic Cantonese flavours, such as sambal BBQ sauce, Cantonese mayo with black bean and garlic, and a prime patty for a succulent and full-bodied burger. For those who would rather forgo the buns in a burger, Black Tap dishes out craft burger salads, such as House-Made Falafel Burger Salad (S$21++) comprising of a falafel patty, lettuce, cucumber, tomatoes, kalamata olives, hummus, Greek feta and pickled onions. While you’re at it, be sure to order its famous CrazyShakeTM milkshakes, an insanely sublime tower of goodness to end off the meal on a sweet note. 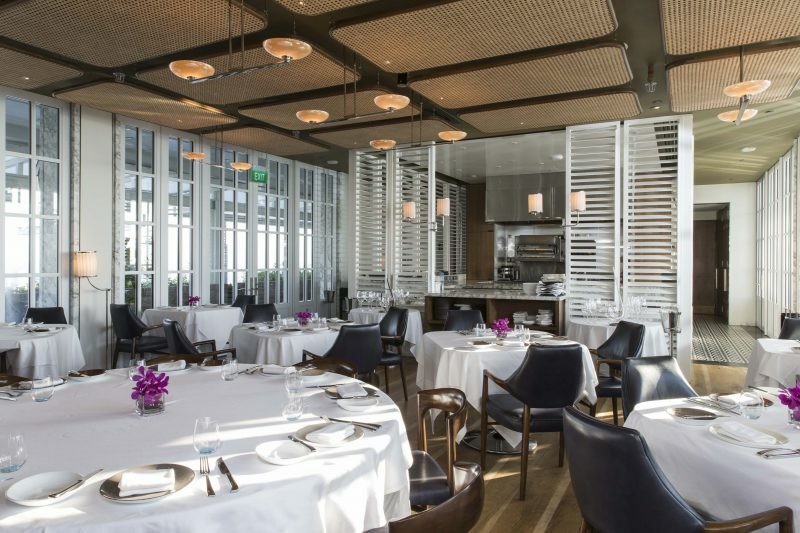 Situated 57 floors up in the sky and overlooking Marina Bay Sands’ iconic infinity pool, Spago is celebrity chef Wolfgang Puck’s flagship restaurant that originates from Hollywood, California. While most of its classic American dishes come with a hefty price tag, Spago offers a reasonably priced three-course Express Set Lunch Menu (S$45++) that gives you a bang for your buck and impress clients at the same time. Start with a refreshing appetiser, such as Burrata with Marinated Brussels Sprouts, which comes with prosciutto, wild rocket salad and almonds; or Pâté de Campagne, which is pickled radish and whole grain mustard. Choose between six delicious mains for your second course. 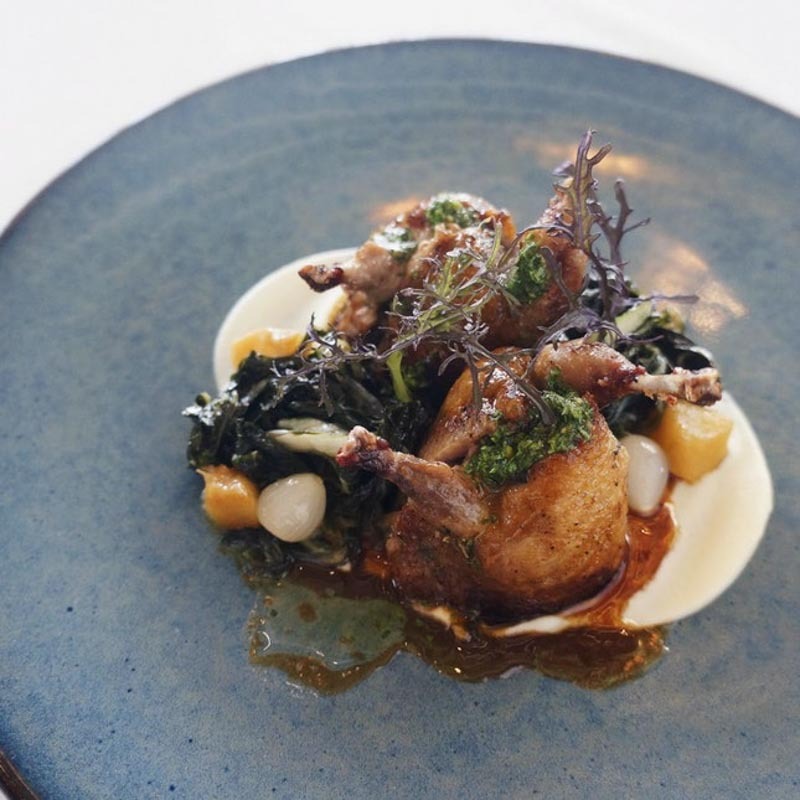 Psst, the Brioche Stuffed Australian Quail is a fan-favourite – the juicy quail is filled to the brim with brioche stuffing and seated atop fennel purée, with Swiss chard, pistachio gremolata, caramelised Comice pears, pearl onions and natural quail jus. To cleanse your palate and end off your express lunch with Spago’s dessert of choice: Pistachio Panna Cotta, which is served with orange gelée, pistachio brittle and orange gelato. 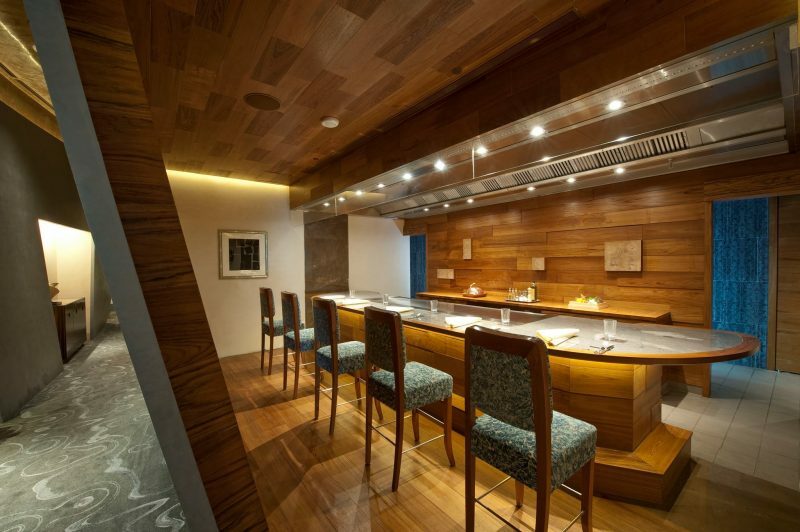 From its delicate contemporary Japanese-European cuisine to its private dining rooms helmed by personal chefs, dining at two Michelin star restaurant Waku Ghin is certainly an exquisite affair. On Fridays, enjoy a delectable five-course Executive Lunch (S$180++), which comprises of four savoury dishes, petit fours and coffee or tea. 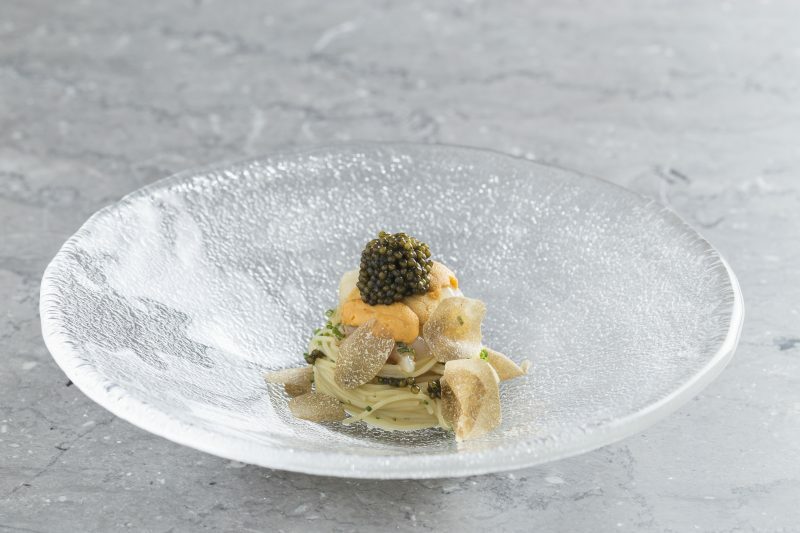 The lunch creations include Pasta with Botan Shrimp, Oscietra Caviar and Sea Urchin, which makes for an indulgent afternoon treat — there’s nothing better than to dig into al dente pasta, topped with creamy Murasaki Uni from Hokkaido, laced with briny pearls of caviar, and sweet shrimp. From cosy Italian joints to luxurious Japanese dishes and even international buffets, Marina Bay Sands certainly leaves you spoilt for choice with its variety of lunch selections. Be it an executive lunch with business partners or an indulgent afternoon brunch with friends and loved ones, recharge your day with these delicious deals without having to break the bank! *This post is brought to you in collaboration with Marina Bay Sands.